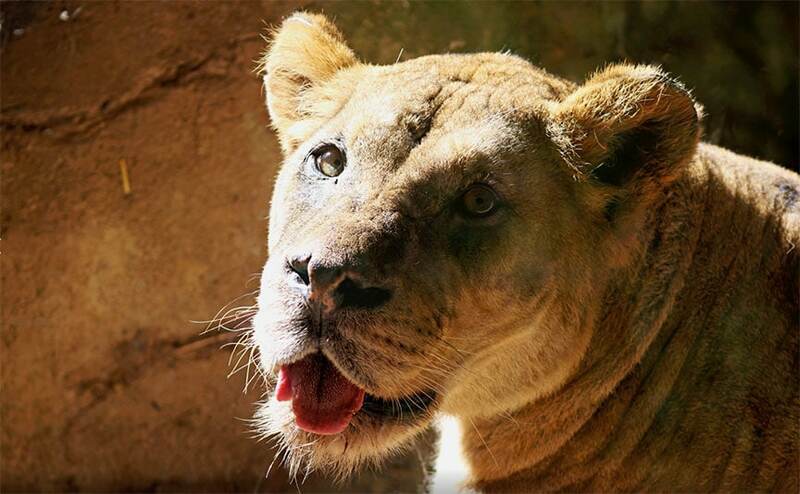 Grand Rapids, Michigan – Veterinarians for John Ball Zoo thought 12-year-old Bakari had been cured of her lymphoma when she suddenly passed away on April 1, 2019. The female African lion had been diagnosed at the end of 2018 and subsequently underwent 15 weeks of chemotherapy. Her follow-up exams seemed normal and the mass on her neck had disappeared, boding well for Bakari. However, Bakari’s health took a sudden and quick turn for the worse and John Ball Zoo announced her passing on Facebook on April 2nd. They believe the cancer returned with a vengeance before veterinarians could help her again, but a final confirmation still needs to be conducted. Staff praised the work of the veterinary and animal care teams who worked on Bakari during the whole process. Bakari and her sister, Abena, joined the John Ball Zoo in 2008 after being born at the San Diego Wild Animal Park in 2006. They were a favorite of zoo-goers and staff due to Bakari’s love of interaction with guests and Abena’s vocalness. The zoo stated their good behavior and temperament made them exceptional ambassadors for their species and Bakari won’t be forgotten. African lions tend to live between 10–14 years.